These home security tips, if utilized, makes your home safe from crime, and then you can have peace of mind for your entire family. It is essential to learn some home security tips to secure your home and deter burglars, armed bandits, and other intruders. Criminals often use the exterior doors on a home to gain access. A door that is not very secure can be pried open or kicked in. The addition of deadbolts to all the exterior doors makes it much safer than a spring latch lock. Make certain when the deadbolts are installed that there is little or no space between the door and the frame. This would result in someone still being able to open the door with a prybar. Check for the gaps with a flashlight to examine them closely. If you do have spaces, use plywood or metal sheets for reinforcement. Examine your exterior doors from the outside of your house. Make certain that the hinges are not visible or accessible from the outside. If a crook can access your hinges from outside, it only takes a few minutes with a screwdriver to remove all of the hinges and the door and gain access to your home. Remove all hinges on the exterior of your doors and reinstall them on the inside of your home so that the hinge pins are only accessible from inside. You can also add door amour kits with longer screws than the ones that originally came with your door hardware, heavy duty strike plates for your handles and deadbolts and metal framing designed to go around the hinge and handle/lock hardware for extra strength. If you have sliding doors, secure them with a metal bar in the bottom track of the doors. This prevents someone from opening the door with great force and breaking the initial lock that comes with the doors. French doors are a beautiful addition to your home; however, they are targeted by a criminal to initiate a “kick-in burglary”. Add a security bar to your French doors. It may detract from the nice appearance, but you will only need to put it in place when everyone is leaving the house. You can secure the windows that you have in your home with aftermarket window locks. They keep someone from forcing a window open to gain access to your home. The locks come in a variety of styles, so you need to know what types of windows you have. Window styles are double hung, sliding or casement windows that are also called crank windows. Add security film to your windows and doors on the glass. Intruders will not likely see it, but it prevents your windows and glass from being kicked in. Get the thickest film possible for the best home security. 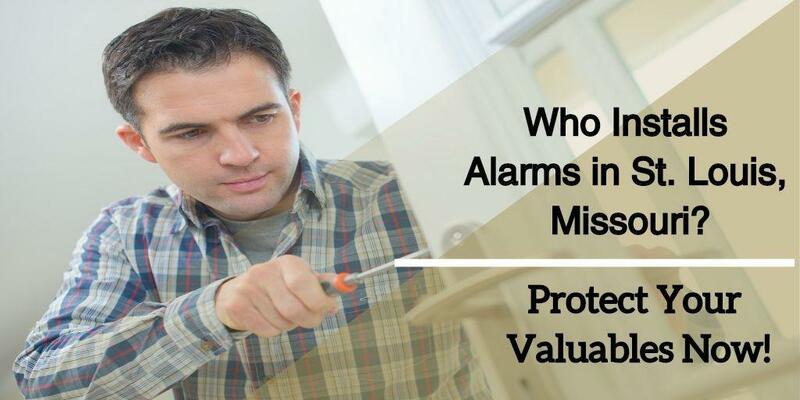 A burglar is less likely to invade a home that is occupied. They have no idea what they would be getting into after they are inside your home. Put lights on a timer in different rooms so it looks as if someone is home. You can leave a television on also because they create light and seem to suggest someone is home. A dog, no matter what size, is one of my favorite home security tips and can make a burglar leave your home alone and go elsewhere. The success of a crime depends on not being detected while in the process. A barking dog will attract attention from neighbors if it is outside or can deter someone from breaking in your home if they are barking inside. The very best deterrent to a criminal is to have a home security system that is monitored 24/7. We have all seen the old movies where the criminals cut the wiring outside and the system doesn’t work. That is not a reality these days with newer systems that don’t having wiring that can be tampered with. Following these suggestions can keep your home and family safe and secure without the worry of a break in of any type. 7 Reasons You Should Shut Your Windows When You Are Gone? Many homeowners have never heard that you need to shut your windows on a nice day when they leave their home for a quick trip to the gas station or a corner store. This is the only opening a criminal needs in order to invade your home and steal your feeling of security. 3M Window Film Can Also be a Lifesaver. Do You Leave Your Windows Open When You Leave Your Home? When the weather is nice outside, you tend to not shut your windows and let in some air in their homes. However, this greatly increases your chances of burglary. Criminals always look to find a house that appears the easiest to break into and get away from after they commit a crime. Most burglars will spend no more than one minute trying to break into a home. Burglars are typically in a home less than five minutes once they are inside. Most burglaries gain access from the rear of a home or the side where they are least likely to be seen from the street. Many times, a home without a security alarm system will be robbed once, and then the burglar waits for a period of time when he thinks that the stolen items are replaced.The burglar will again invade the home and take the items again but this time not even bothering looking for an open window but breaking the glass, (Unless it Has 3M Safety Film to Stop Them) unlocking, and sliding open any window he desires because they know they are not going to be caught because an alarm never went off the last time they broke in. The most common windows left open in a home are in the master bedroom. 90% of what a burglar looks for is in that one room. A devious criminal may attempt to climb a tree. Be sure limbs have been trimmed to deny access to the second story or call your home security specialist to see what necessary requirements are needed to secure the windows in these areas. Ladder access is almost always with the homeowner’s own ladder so be sure they are in a garage or chained down to prevent their theft or use in a burglary on your own home. Lattice is another way to gain access to an upper floor window that is open. Be sure to shut your windows on any second story home with an alarm if your latticework provides this access. Attach all of the windows in your home to a central home alarm system. If anyone tampers with a window, you will receive notification immediately and the police will too. Wooden dowels can block horizontal doors and windows so they will not open. Frame pins keep vertical sliding windows from opening. If you don’t shut your windows when leaving your home for ventilation, only open it a maximum of six inches and block it with a dowel so it can’t be opened all the way. Make certain that an intruder is not able to remove the dowel from outside your home. The Smartest Alarm systems for your home and valuables allows you to view live streaming video outside your entire home in daylight or complete darkness. Watching the perimeter of your home allows you to notice anyone suspicious that may be checking out windows of your home for a burglary. This will help identify windows burglars have looked in so you can be sure they are secure. Should someone gain access to the inside of your home you can communicate with an intruder from your smartphone, tablet or computer at any time. Your ability to describe your invader in detail will usually startle the boldest of burglars, especially when you tell them this video feed is going to the police. It can send you either email or text alerts when motion is detected that activates these interactive video cameras. You can see, hear and speak to anyone that is at your door through a video doorbell. It has a motion sensor, live video feeds and night vision so you can see who is at the door at all times. If someone shows up at your door after a delivery you know it right away and can interact with them to be sure your package is safe and keep track of anyone close to windows in the front of the house. Remember that a window that is secured with dowels or locks must be easy to unlock for a safe exit in the case of an emergency. Make sure all family members are educated on an emergency escape route. Home security systems and 3M Safety Film are the best options to take when defending your home’s windows.